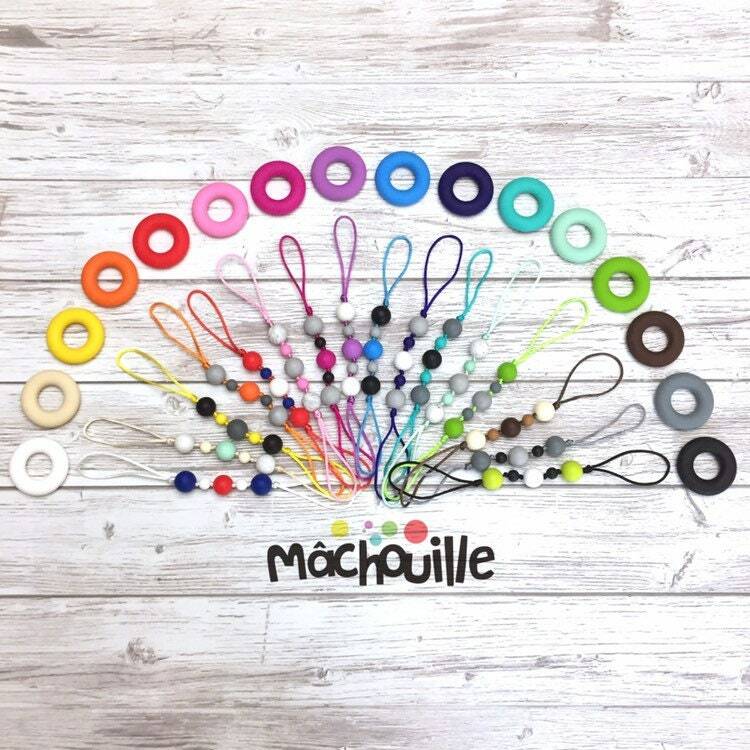 The Mâchouille zipper pull is designed to be attached using the key ring or cord, with zippers from coats, jackets, pencil cases, etc... Chew ring and the beads are food grade silicone non-toxic and certified BPA, phthalate, cadmium, lead, mercury or other heavy metals. The ring is made of steel. 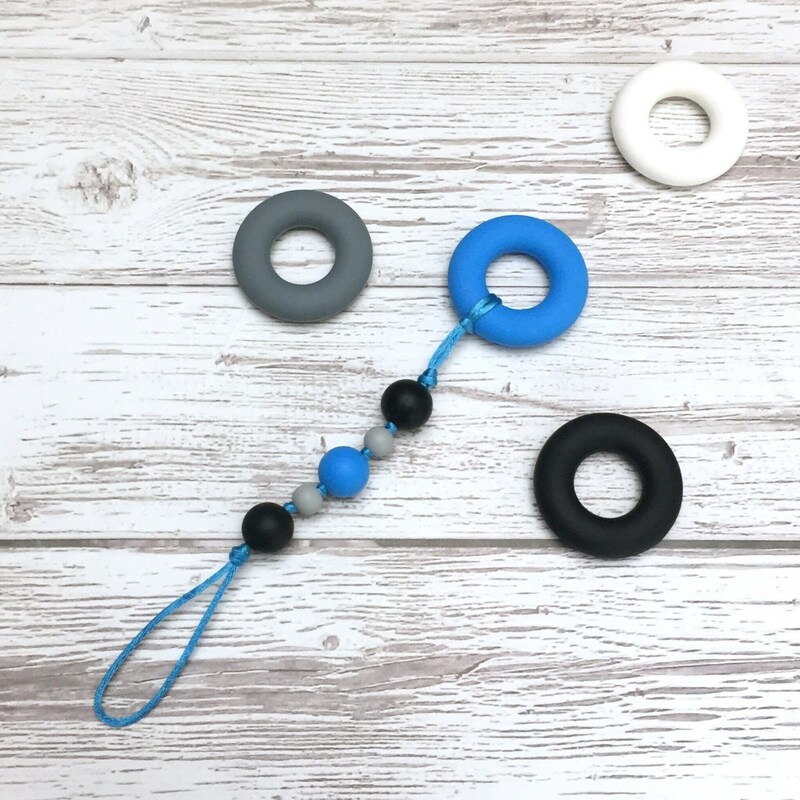 The chew is assembled with a durable polyester cord. 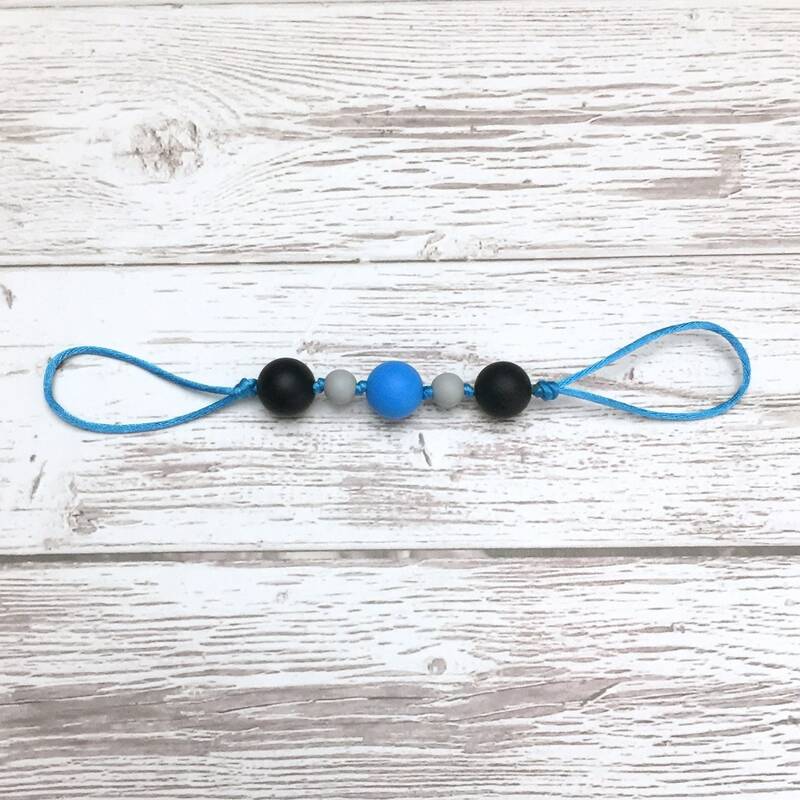 A node is performed between each of the beads to increase the security of the chew. 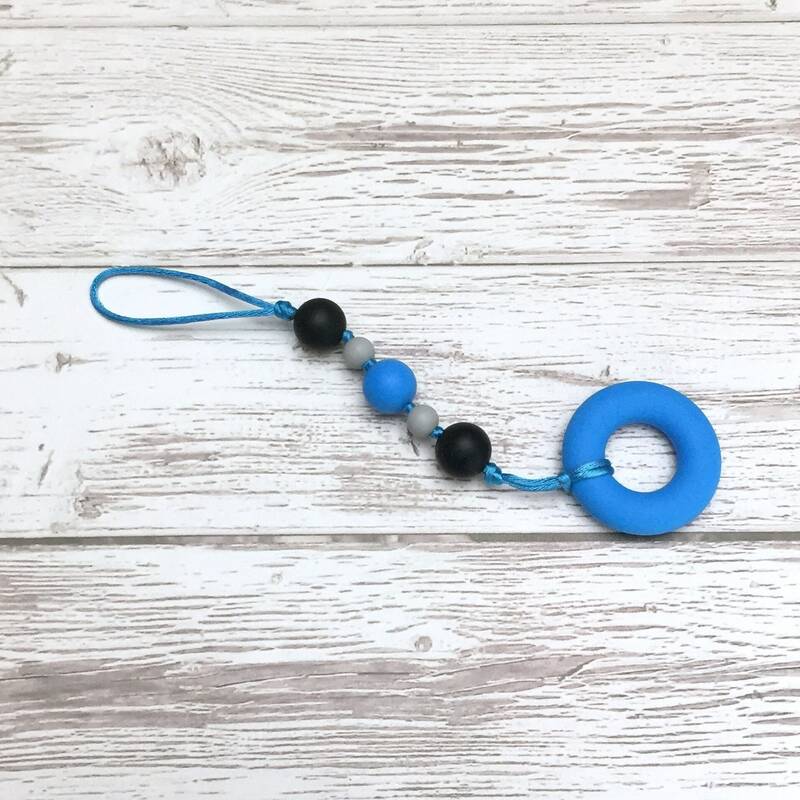 The chew is about 19 cm in length and the silicone ring at approximately 4.5 cm in diameter. -Wash Mâchouille before first use. -Clean chewing by hand with SOAP and water. Rinse thoroughly and air dry. Also goes in the dishwasher. Avoid wetting the ring to prevent damage. -Use and wearing the chewing by children should always be under adult supervision. -Do not let children sleep with chewing. -Do not let children chew on the key ring. -Do not leave within reach of pets. -Check the condition of all parts of the chew before each use and stop using if you damage or alteration any. Our suckin' are fully assembled in Quebec with love and care! 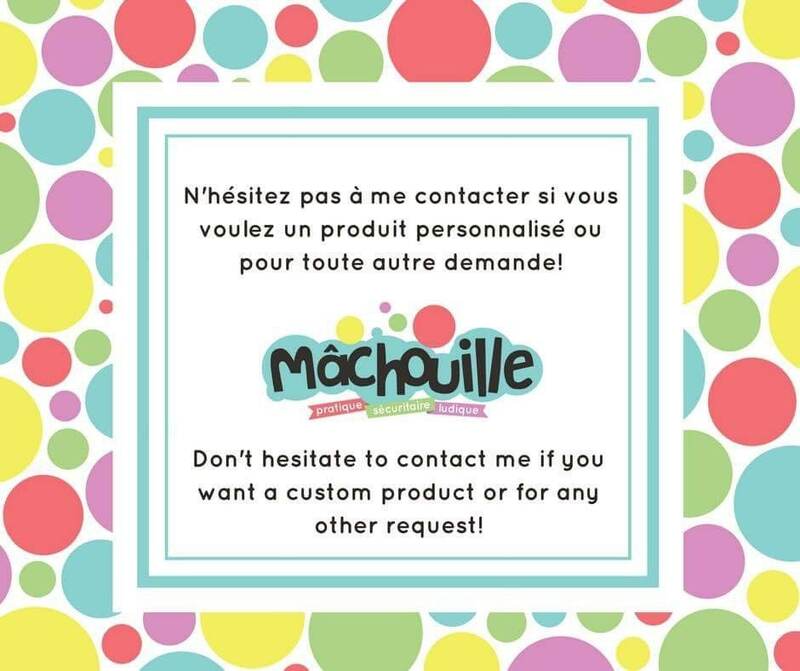 If you want a custom product, leave us a message and if possible, we will create it with pleasure! 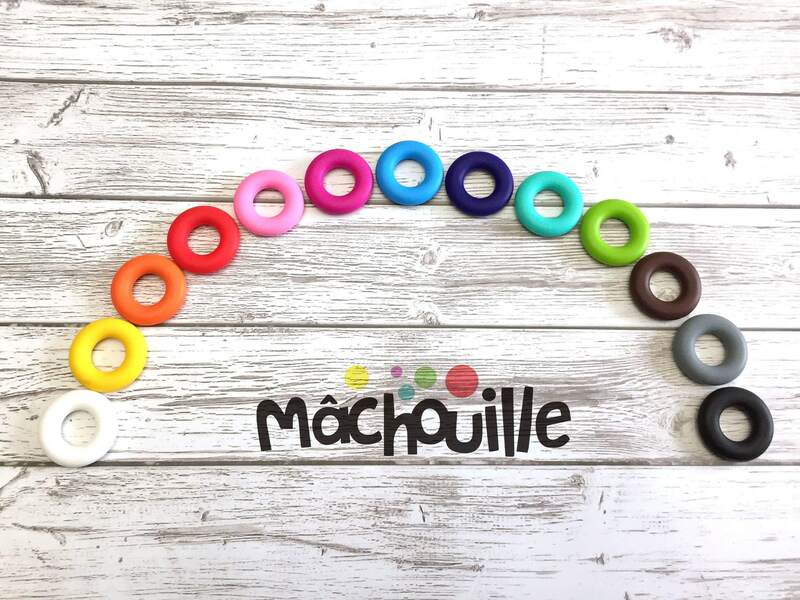 All Mâchouille products are offered with a 30 day warranty, from the date of receipt of order, against manufacturing defects. However, products are designed for light and moderate chewers, they cannot be guaranteed for big chewers.